Ashwaganda is a highly revered medicinal herb used in Ayurveda for millennia and praised as a longevity and vitality tonic. 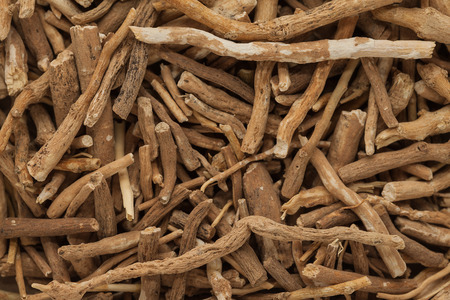 It is often referred to as 'Indian ginseng' due to its similarity to ginseng in its action. Its herbal actions span a wide range from adaptogenic to sedative. In many Asian countries, all parts of the plant are utilized, and the tender leaves are eaten as a vegetable. As a gentle nourishing herb, it can be administered to children as well as the elderly. Many scientific studies exist regarding its manifold healing properties. Native to Africa, Southeast Asia and the Mediteranean, Withania somnifera is an undershrub with hairy branches, ovate leaves, yellow to greenish flowers, and bright red berries. It is in the Solanaceae or nightshade family, and related to vegetables such as potato, tomato, and eggplant, and also to the psychoactive Jimson weed (Datura stramonium), and the medicinal bittersweet (Solanum dulcamara). The Latin species name, somnifera, means 'sleep inducing' and refers to its action as a sedative.